The distant murmur of battle is carried on the wind, like a ghostly whisper of warrior apparitions, cursed to wage eternal violence in a life or death struggle without end. As one slowly drifts past the jagged peaks, one sees that ancient field on which the spirits still conduct their timeless warfare, invisible to the mortal eye. Through some old magic those lost armies are raised, their humble villages remade, their forgotten gods praised again, their stubborn feuds invoked anew. Inheritor of the Forest Throne is a serious, epic return to the dark ages as they might've once been, with a sense of vastness and grandeur, and yet still an earthly realism. I wouldn't say it is "grounded" however, as the long statements and constant layer developments create a perpetual sense of movement, and this united with the distance of heavy reverb gives the listener a sense of flight, soaring above an awe-inspiring landscape untarnished by man. Man is only to be found in dark, hardscrabble corners of the world, either living alongside nature in prehistoric barbarian villages, or desperately suffering against it in a forlorn medieval castle, always at the mercy of a hostile universe. One can only face such a reality with resilience, honor, and pride, glorifying every hard-fought triumph. If most dungeon synth is like video game music, Murgrind's album would be better compared to film soundtracks. It has a level of polish that is rarely heard in dungeon synth, reminding me somewhat of Mortiis' The Stargate in its professionalism. It certainly still has that classic dungeon synth sound however, with the 90's digital keyboard style, sticking primarily to the more realistic tones such as brass, flutes, strings, choirs, timpani, etc. The melodies fall strictly into the traditional dungeon synth mood, staying somewhat static in its grandiose, "epic" tone, conveying a sense of endless combat. It is reminiscent Lord Wind and its major influence, the soundtrack of Conan the Barbarian. Also like a film rather than a video game, I find the experience of listening to this album to be a bit more passive than is typical for a dungeon synth album. Most dungeon synth is somewhat unfinished, requiring the listener to actively fill in the gaps with his own imagination, merely asking a question of the listener. This album, however, asks the question and provides the answer; it is a finished product. I think this effect is because there is a lot going on with the composition at all times, the listener is focused on the music itself, and so it becomes difficult to ever really disengage and let the mind wander its own course. The more sparse, minimalistic dungeon synth is rather like an atmospheric aid for mental exploration, trance-inducing background music, while Inheritor of the Forest Throne is more of a guided journey. In that way it would probably be a great introduction for new listeners of the genre, the mentor at the entrance of a mythic quest. 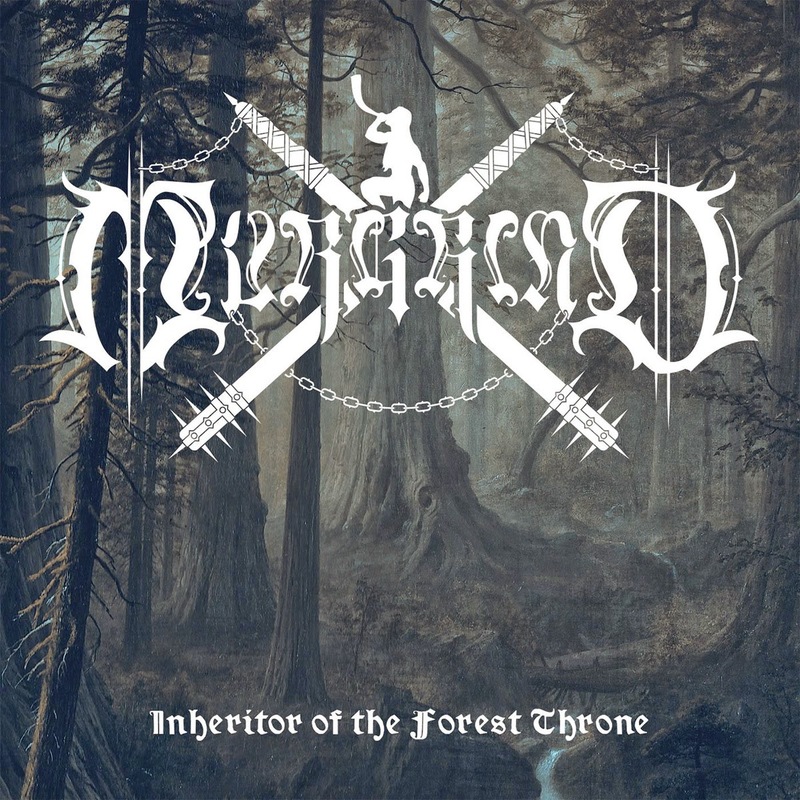 I heard this album and I've found it very good and enjoyable, but I would like to quote your words: "The more sparse, minimalistic dungeon synth is rather like an atmospheric aid for mental exploration, trance-inducing background music, while Inheritor of the Forest Throne is more of a guided journey." I enjoy both, but I think you got a bull's eye on one of the most important characteristics of dungeon synth. Notes and composition are the basis of all music, but atmosphere rests over that for giving it a style and a feeling. Thanks! Agreed, excellent review. I should probably check this out as a big fan of Basil Poledouris' soundtracks.